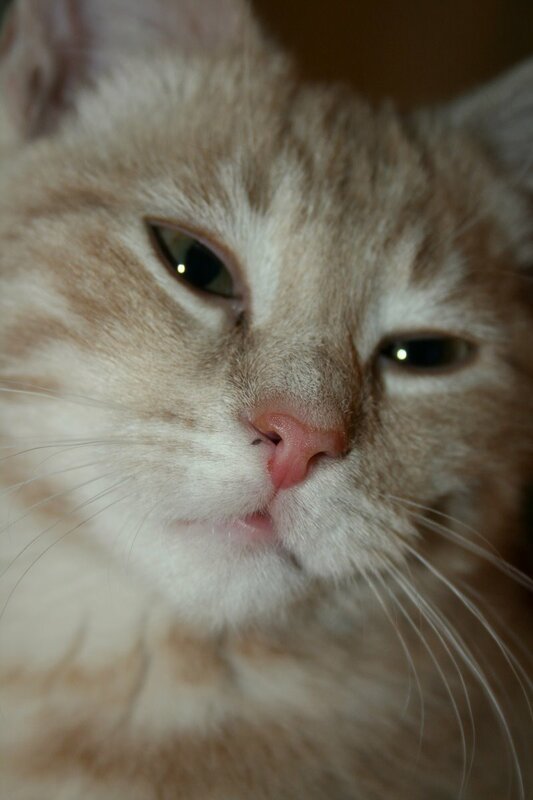 Teego 3 – Mice 0 | A Cat Called Freya, and Teego Too! ← Teego is the king of the mousehunters! Honestly, Humans… They’re so squeamish! So anyway, here’s a video of what happened next. Why do you think Teego is retching around 1:00? How should Daddycat have taken it off him at 1:35? – Aren’t they squeamish!!! MOL! Can you hear him growling at 2:30? Teego NEVER Growls!! Teego knows hunting, no doubt about it! Good Job TEEGO! You’re the MANCAT! To answer one of your questions “Teego NEVER Growls! !”, honestly… Really Daddycat! How would you like if I was stealing your dinner? Do not despair Teego, maybe you will eat one when your Daddycat isn’t watching. 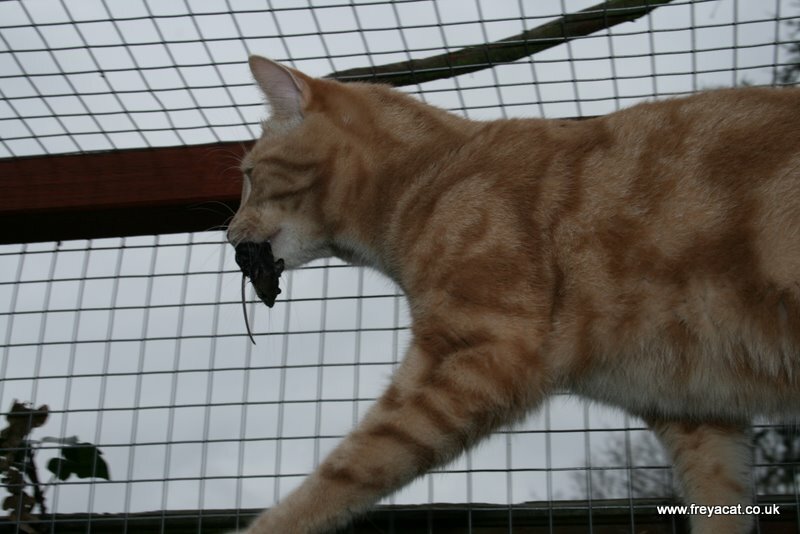 Teego did a great job… and BOY did he want to keep that mouse! Tego, you are a great mouser! Keep up the good work! Teego is growling to protect his valuable prey! Harley does that when he gets lizards. I agree! It’s not retching, but vocalization to let Chatzi know to stay away. Unless you think the mice might be eating mouse poison, which can poison Teego, I think you should let him eat them. He is a hunter, after all, and wants to eat what he kills. I think the only problem with his hunting mice inside the house and catio is that tension with Chatzi might rise as Chatzi continues to try and get Teego’s prey. (My landlord stubbornly puts down mouse poison in the basement despite there being several cats in the building — we are trying to get him to switch to chocolate, which kills mice and is less harmful to cats), but until then, I take any mice they kill far away from my cats. Fortunately, my cats like to kill mice, but don’t like to eat them. Go, Teego, go! You are a mighty mousehunter, indeed. Sorry your dad ruined your fun time, but you showed him your displeasure with that growl, didn’t you? I think Teego was growling to tell everyone to stay away. Bruno does this when he is eating a pouch and I put my hand near the bowl!